In 2007 alone, the total external costs of coal use in China reached RMB 1.7 trillion, equal to 7.1 per cent of China’s 2007 GDP. A new report on the true cost of coal in China concludes that China should reform its coal pricing system to ensure that the true cost of coal is reflected in its price. In 2007, every tonne of coal used in China led to environmental damages of RMB 150. 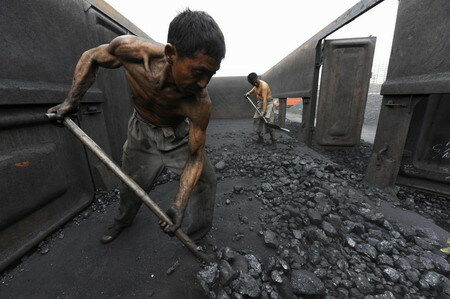 Coal provides 70 per cent of China’s energy needs, compared to the global average of 30 per cent. By reforming coal prices, the authors of this study on the true cost of coal in China, say China has a golden opportunity to make a real improvement to the nation’s environment. By incorporating all external costs into the coal price, coal would then be priced at a non-distorted level, they say, which would allow the country’s energy market to develop fairly and competitively. A reform of coal prices cannot be achieved overnight. This report recommends a roadmap to internalize the environmental and social costs of coal and the additional cost caused by government regulations and price distortion. The True Cost of Coal Report was commissioned by Greenpeace, the Energy Foundation and WWF and written by the Unirule Institute of Economics, the Energy Research Institute of the National Development and Reform Commission (NDRC), the Energy Research Institute of Shanxi Academy of Social Sciences, the School of Public Health at Peking University, and the National Centre for Disease Control and Prevention.